It could be that for some reason you are not covered – but the good news is that from 1st July 2016 you are now covered against more types of accidents, and more importantly, ones that can be quite traumatic. The driver of a car in which you are a passenger, or the driver of another car, causes an accident in which you are injured. 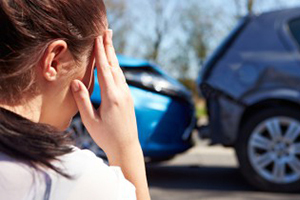 Even when another car causing a crash is unknown, it may still be worth making a claim. Recently the insurance cover has been broadened to include cases where traumatic injuries are sustained by someone in a crash where no-one is to blame – typically in country areas when a driver tries to miss or even hits a kangaroo or other animal, and leaves the road at speed. Who do I go to with my claim? The government body that deals with claims and potentially offers settlements for injury or death caused in vehicle accidents is “The Insurance Commission of Western Australia” – this is colloquially known by the acronym ICWA and is used by the many professionals and support staff involved in the claim processes – lawyers, doctors, police, Centrelink, Medicare, and so on – so get used to hearing it if you make a claim. This depends on the degree of knowledge and confidence you have in being able to navigate the process. The question is similar to the one of whether to fill out your annual tax return yourself or have it done by a qualified accountant – some people are confident enough dealing with the ATO, but others prefer to rely on the expertise of a professional. Bear in mind that a Personal Injury Lawyer knows about the law and will manage your claim by gathering medical evidence and supporting documentation to get you the best outcome. ICWA prefers that your claim be lodged within 12 months from date of the accident – but the sooner you put something on paper the easier it is to get all the facts right, sort out any discrepancies and avoid explanation of delays for late claim lodgement. Once the process has been reported then a claim number will be provided and a Case Manager appointed by ICWA. As well as everyone involved now being able to refer to the case easily by number, it means that certain expenses can be set down by ICWA against the claim if liability has been admitted, without the claimant having to pay out any expenses. It is advisable however to check with ICWA before proceeding with extensive treatments. If after investigation it is found that you were totally at fault for the accident. Your claim could also be rejected after if it is assessed below a designated threshold set by ICWA, however your legal team may still be able to pursue the matter. It should be pointed out here that under certain conditions any medical expenses paid on your behalf since the claim was first reported to ICWA will not require repayment by you. What if my claim is apportioned? Your claim may also be apportioned on liability, meaning you are partly to blame for the accident. In this regard, you should seek legal advice. There are things that you can do – ICWA prefers to settle matters out of court, and so after an initial referral to the Case Manager an “Informal Settlement Conference” might be initiated to settle the matter – if not settled, the matter may be taken into the District Court by way of a Writ. Just remember that any money you successfully claim might be reduced by the legal costs and medical report fees, Centrelink payments, Medicare and Private Health Insurance costs already paid on your behalf. Make sure to browse the other services of Matthew Glossop and Associates, including criminal compensation, public liability, and workers compensation law. Our staff are fluent in both English and Macedonian and can cater to speakers of either language with ease.